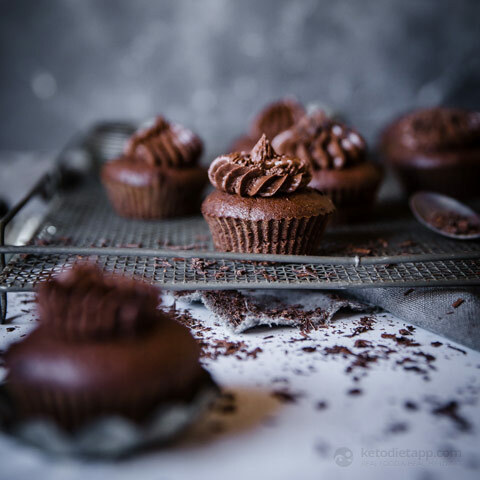 These keto chocolate cupcakes have become my go-to for two reasons — firstly, they are ridiculously simple — you just chuck the cupcake ingredients in a blender and you’re done, and the frosting comes together quickly over a little heat. And secondly, that frosting is deliciously decadent. 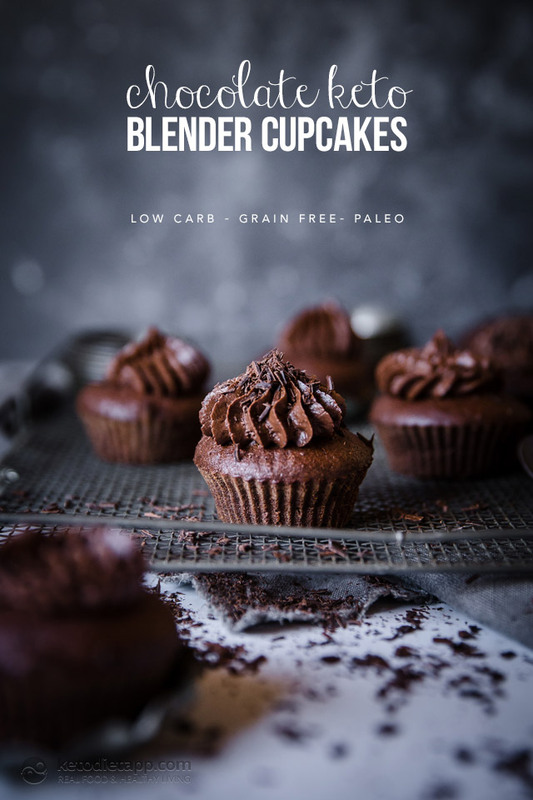 I first made these low-carb cupcakes during first trimester pregnancy cravings and may or may not have eaten nearly the entire mix before it even made it to the cupcakes! 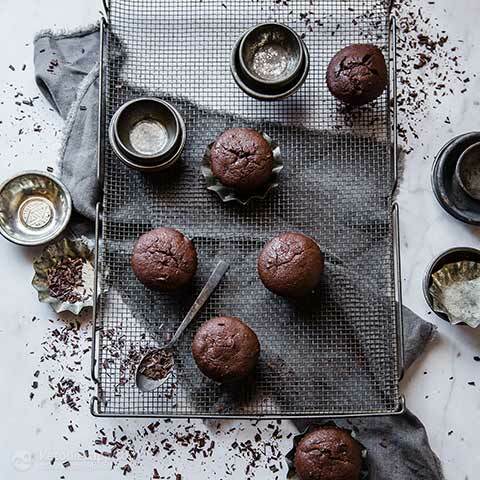 A few heads up — these gluten-free cupcakes are super easy and richly chocolatey, however due to the method of using a blender, they are a little denser than regular cupcakes. 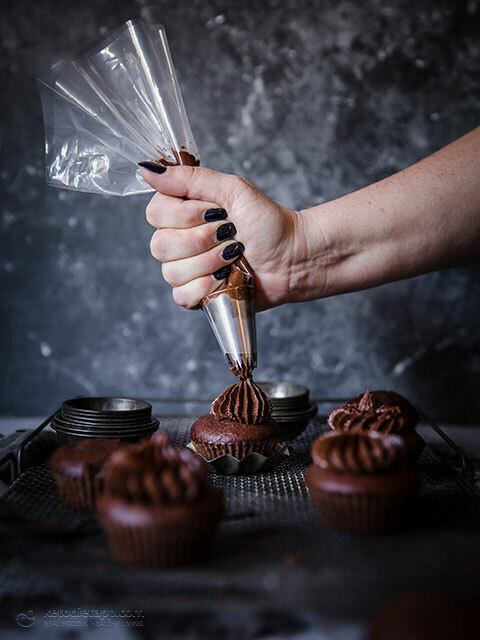 They also, surprisingly, don’t taste great warm, so you’ll need to exercise a little patience before sampling, but trust me — you want to wait until they’re slathered in some of that delicious keto-friendly frosting before your try one out! Preheat oven to 180 °C/ 355 °F (or 160 °C/ 320 °F fan forced). 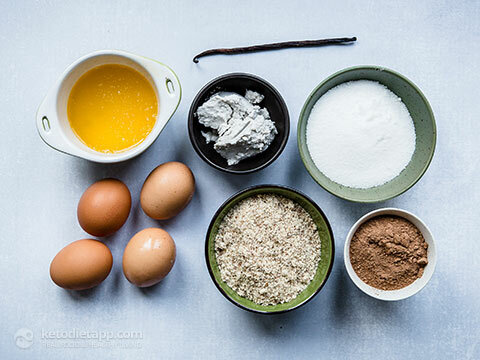 Add all the dry cupcake ingredients to a blender, and then the wet. 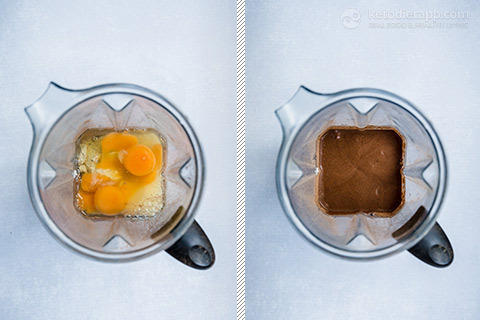 Turn the blender on to the lowest speed, and once starting to combine, increase to medium speed and mix until smooth. 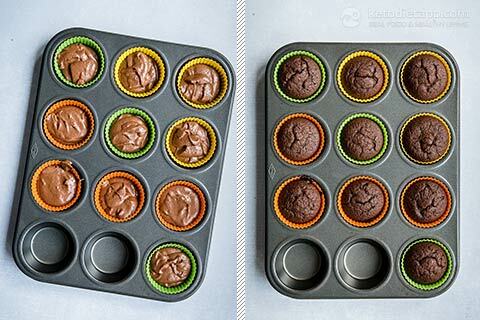 Scoop into a lined cupcake tin or silicone moulds, filling 3/4 of the way up. Bake 20 - 25 minutes. Once a skewer inserted comes out clean, the cupcakes are ready. Cool in pan for 10 minutes, then transfer to wire rack. Allow to cool completely. 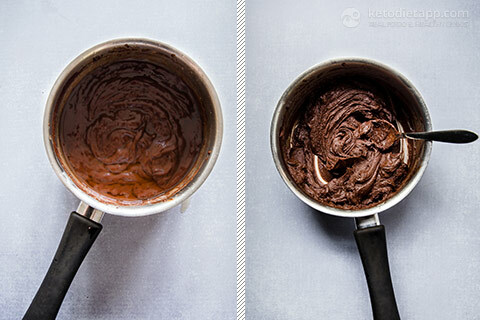 To make the frosting, melt the chocolate, erythritol, cream and butter to a small saucepan and heat over the lowest heat, stirring constantly. (Note you can also do this in the microwave or a double boiler). Place in the fridge for around half an hour, or until it has started to thicken — you want a thick, frosting-like texture. Either spoon or pipe onto each cupcake. I used a bakers chocolate bar for the frosting because that’s all I had on hand and it was incredible. This is the first baking recipe I’ve tried that actually tastes like what I had hoped for and it was so easy. Thank you! I had missed chocolate and this hit the spot! 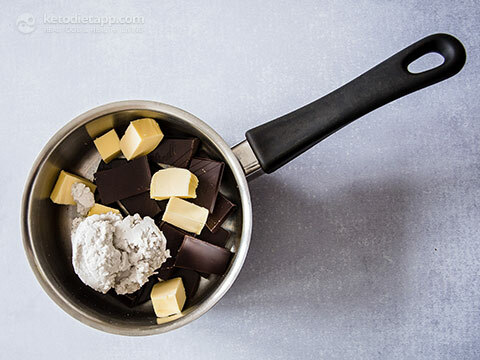 Why use a chocolate bar when dry cocoa plus butter or coconut oil can be used? Who keeps sugar-free chocolate bars at home?